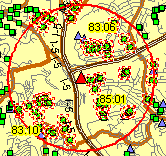 What is the Census 2010 population for a Census 2000 census tract of interest? Read on, the ranking table in this section provides the answer. How have neighborhoods, market areas and other sub-county areas changed since 2000? One answer is to use Census 2010 data ... but it may not be easy. Boundaries for many census tracts, the most widely used and important "small area geography," changed between Census 2000 and Census 2010. This makes it difficult to compare demographics for these sub-county building blocks between 2000 and 2010. Identifying and examining the nature of demographic change for some of the hottest areas of change can be challenging and elusive. This section is focused on relating Census 2000 tracts to Census 2010 tracts and Census 2010 demographics for Census 2000 census tracts. Availability of Census 2010 demographics for Census 2000 tract boundaries facilitates analysis of demographic change between 2000 and 2010 for county-wide, sub-county areas. More about census tracts ... about these tools/data. The process of developing Census 2010 demographics for Census 2000 geography starts at the census block level. 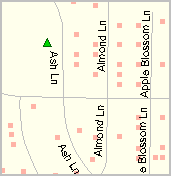 Census 2010 block boundaries are often radically different from Census 2000 block boundaries in an area of interest. 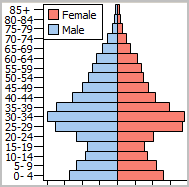 While the focus of this section is on census tracts, most Census 2010 Summary File 1 demographics, the most detailed demographic subject matter from Census 2010 at the census block level, are available for Census 2000 blocks. boundary change/relationship is illustrated by the graphic at the right. 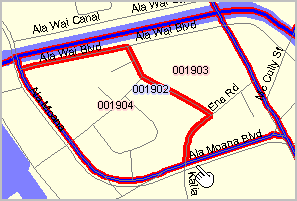 The map shows an area in Honolulu County, Hawaii. 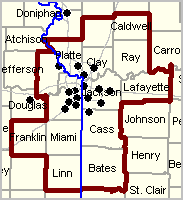 Census 2000 tracts are shown with a dark blue boundary. 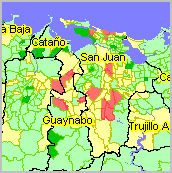 Census 2010 tracts are shown with a red boundary. 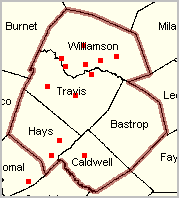 Census 2000 tract 001902 is split into Census 2010 tracts 001903 and 001904. 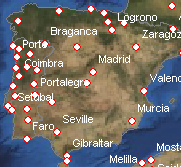 Click on Find in GeoID00 button below table. See more about Hawaii 2014 GIS and mapping these geographies. Often census tract boundary changes are much more complex. 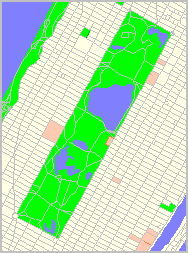 Individual Census 2000 census blocks are split and assigned to multiple Census 2010 tracts. - click column header to sort; click again to sort other direction. - click ShowAll button between queries. Census tracts are defined by the Census Bureau and organized as sub-county building blocks. Census tracts are small geographic areas, designed to average 4,000 population, but vary widely. The approximate 65,000 census tracts covering the U.S. wall-to-wall provide a good geographic granularity to meet many needs. Unchanging throughout the decade, census tract boundaries are subject to update for each decennial census though many will remain unchanged for Census 2010. Census tracts were first designed to be relatively homogeneous with respect to population characteristics, economic status, and living conditions. Over time, with demographic shifts, census tracts are often no longer so homogenous. 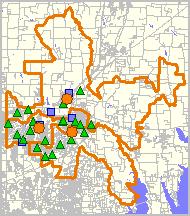 However, tracts do closely approximate neighborhoods/neighborhood parts for many areas. The geographic size of census tracts varies widely depending on the density of settlement. Census tract boundaries are delineated with the intention of being maintained over many decades so that statistical comparisons can be made from decennial census to decennial census. Census tracts may be split due to population growth or combined as a result of substantial population decline. Census tracts were initially identified by a four-digit basic number and with a two-digit numeric suffix; for example, 6059.02. This version of the tract code is shown in column 3 in the ranking table. The decimal point separating the four-digit basic tract number from the two-digit suffix has been historically shown in printed reports and maps. Many census tracts do not have a suffix; in such cases, the suffix field is either left blank or is zero-filled. Census tract suffixes may range from .01 to .98. 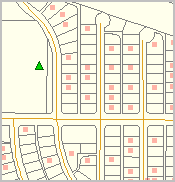 These optionally ways of assigning census tract geocodes or handles has led to some vagueness potentially creating problems in handling now common spreadsheet or CSV files. 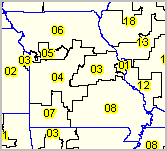 The national scope uniquely identifying tract geocode is the 11 character code shown in column 4 in the ranking table. 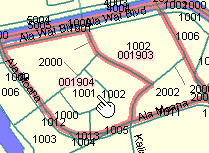 The tract geocode is of the form SSCCCTTTTTT where SS is the FIPS state code, CCC is the county FIPS code and TTTTTT is the Census assigned tract code. In the tract geocode, there are never blanks or dots and lead zeroes are used for each the state, county and tract code components. This is the recommended tract unique identifier. Learn more about demographic economic data and related analytical tools. Join us in a Decision-Making Information Web session. There is no fee for these one-hour Web sessions. Each informal session is focused on a specific topic. The open structure also provides for Q&A and discussion of application issues of interest to participants. Join the ProximityOne User Group to keep up-to-date with new developments relating to geographic-demographic-economic decision-making information resources. Receive updates and access to tools and resources available only to members. Use this form to join the User Group. There is no fee.